This week, we are talking about how to create privacy in the garden. When planning a garden, a common frustration is how to create privacy in the garden. Gardeners want a relaxing outdoor space with a secluded feel. You can accomplish this by selecting the right plants that can create privacy, reduce noise, and hide any unsightly views. How do you choose the right plant for privacy? You want to choose plants that will grow tall, vertical or wide and bring a living wall effect that will develop into a beautiful backdrop to your garden. 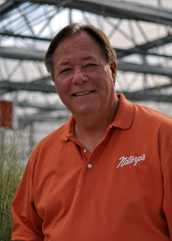 We asked our in-store landscape designer for his favorite plants for creating privacy in the garden. When choosing plants to create privacy, create a green wall effect with trees that will add both height and interest. 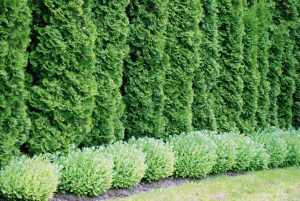 A landscape design favorite is the Green Giant, Spring Grove, or Emerald Green Arborvitae. Also, they bring great four-season color to the landscape. 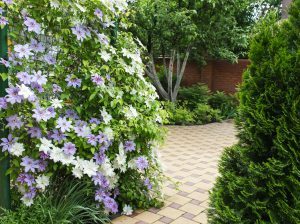 Grow a natural curtain by planting flowering climbers such as clematis, climbing hydrangea, and climbing roses are perfect growing on fences, pergolas, and trellis. 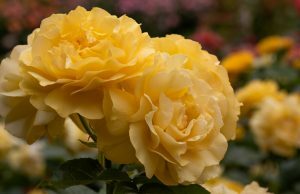 Make a privacy screen with thick flowering shrubs like roses, hydrangeas, and spirea. If you want a green screen look at the European Hornbeam. Get more great gardening ideas by visiting our in-store landscape designer and a horticulturalists! We make Cincinnati gardening easy!